In the European Union, Tesla’s vast network of Superchargers have now powered the Model S EVs for more than 30 million kilometers driven, in the process saving 3 million liters of gasoline and eliminating emissions of 10 million kilograms of CO2. 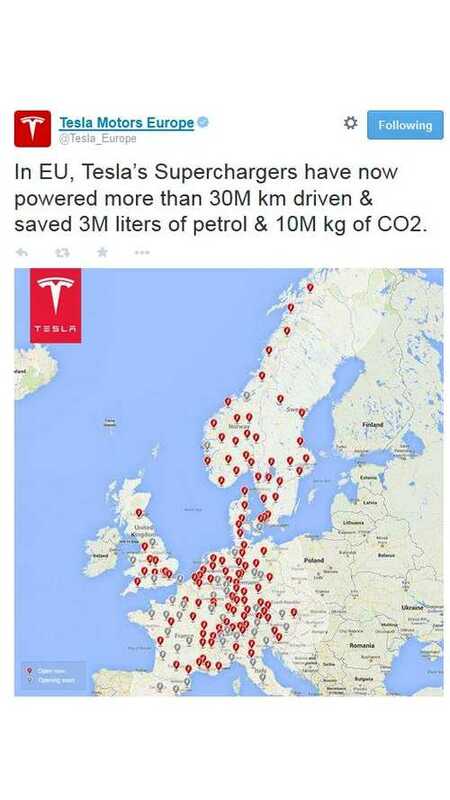 Tesla's European Supercharger network has grown by leaps and bounds recently. Worldwide, there are well over 300 Superchargers now and the # continues to grow at a rapid pace.